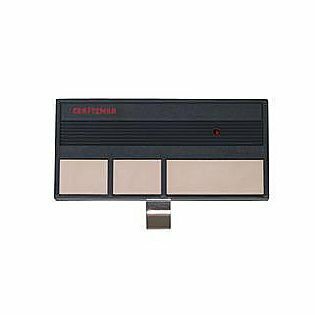 This Craftsman® 139.53778 remote control works with older Craftsman, Liftmaster, Do-It, Master-Mechanic, Raynor, and Chamberlain garage door openers using dip-switch technology, and made prior to 1992. Easy to program by simply matching the switches located on the garage door opener powerhead to the switches on the remote control. Systems with other types of coding will NOT be compatible. Works with Craftsman openers featuring red light and white button remotes. Note: Not compatible with with garge door openers with "smart" or "learn" buttons.